What does a mum look like? I'm one of those people who was and still is determined to look like and dress like I want, as it shouldn't matter what you wear whether you're a mum or not. I think a lot of new mums fear the idea of looking 'mumsy' and I'd say that we all want to hold onto the 'old' us, even if our clutch bags get replaced with changing bags. I don't think my style has changed since becoming a mum but at weekends and when running around after Ethan, I do have a preferred, go-to look that's easy to put together and comfy too. 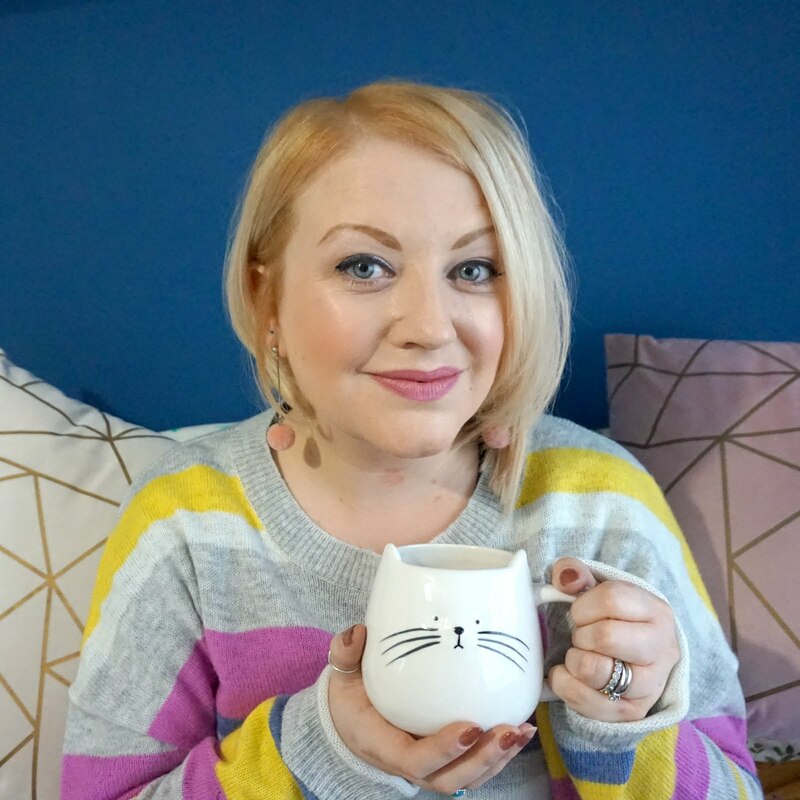 You could call it my muniform - mum uniform - and with some help from JD Williams, I have an outfit to share with you that fits my personality and my lifestyle as a mum of one too. Take a pair of skinny jeans / jeggings, add a bold tee, throw on a biker or bomber jacket and then finish with some Converse or pumps (I hung up my heels, for the most part, a long time ago - I'd rather be comfortable!). I absolutely love this t-shirt (£18) and it is so on point (as the kids would say, I think). I love anything with a stripe, the blue is really bright and slogan tees are very big right now, particularly with a feminine / girl power message. So this t-shirt ticks all the boxes for me, and the cut is flattering too as it slightly flairs out rather than being clingy. It's a decent material weight too and washes well. When is denim ever out of style? 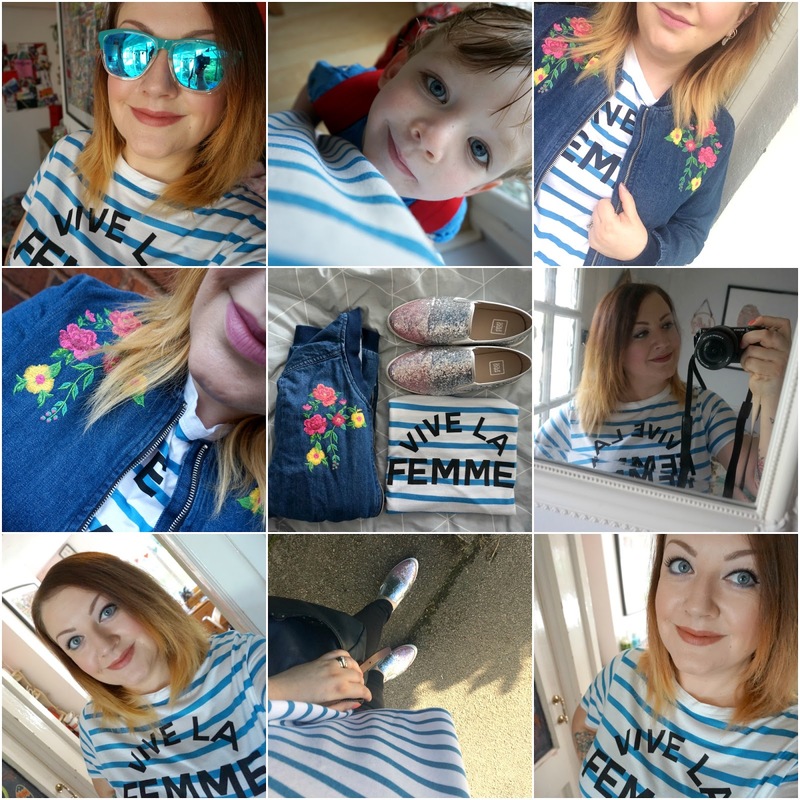 I love denim, from jeans to shirts to dresses, and a denim jacket is a mum's best friend - particularly in this in-between weather we've been having. A key trend right now is embroidery and embellishment and I found a really lovely denim bomber style jacket (£39) with colourful embroidered flowers at each of the shoulders. It jumped out at me and the style is really versatile, looking great with black jeans or trousers and perfect as a cover up when wearing a dress too. The embroidery detail makes it particularly special and I am so pleased with this find. As I mentioned, I'm not into heels and day-to-day, I can be found in Converse or pumps and love how these look when paired with dresses too for a more dressed down look. But just because you're wearing flats doesn't mean your shoes can't look special. To add a quirky touch and a bit of sparkle too, I couldn't resist these glitter pumps by Sole Diva (£22). They're a bit more out there than my usual choice of footwear, but I love the versatile style combined with the silver-into-pink glitter finish. They're really comfortable - I have the EEE width fitting as I have wide feet - and I think they just add something to an otherwise relaxed outfit. Add some sunglasses, a cross-body bag and some lippie and I'm good to go. So, what do you think of my mumiform? All three items can be worn together or paired with other pieces in your wardrobe and I know that my jacket in particular will be a wardrobe staple for many years to come. * Thanks to JD Williams for the items featured - all choices and opinions are my own.